Even if you feel fine, you should still see your health care provider for regular checkups. These visits can help you avoid problems in the future. 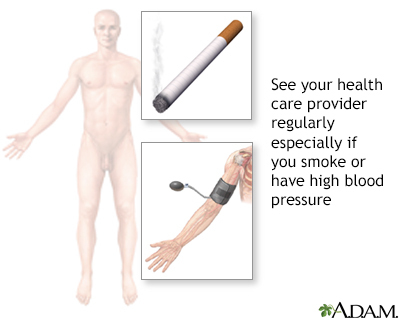 For example, the only way to find out if you have high blood pressure is to have it checked regularly. High blood sugar and high cholesterol levels also may not have any symptoms in the early stages. A simple blood test can check for these conditions. Talk with your provider about how often you should have checkups. Atkins D, Barton M. The periodic health examination. In: Goldman L, Schafer AI, eds. Goldman-Cecil Medicine. 25th ed. Philadelphia, PA: Elsevier Saunders; 2016:chap 15. 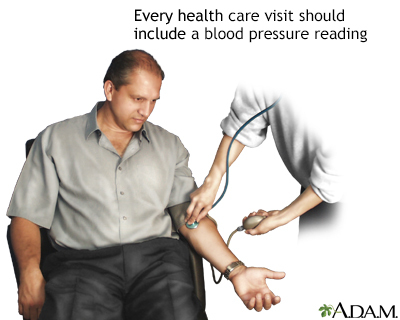 Even if you feel fine, it still important to see your health care provider regularly to check for potential problems. Certain symptoms such as high blood sugar and high cholesterol levels often do not produce any symptoms until advanced disease has occurred.